In most countries in the world, mainly in the developed world, buildings are the biggest CO2 spitting machines. At the stage of construction, if built from conventional materials, they produce incredible amounts of pollution and consume huge amounts of energy. But there are sustainable ways to avoid that as an example in the United Kingdom shows. When conventional houses are built and habitable, their constant use of energy for electricity, heating and cooling, is making them responsible for 50%-60% of CO2 emissions globally. No wonder that the holy grail of the industry is to make housing construction more efficient. While most building companies and architect firms ignore the materials used during the building phase and focus on an energy efficient life of the building itself, others do remarkable work in creating them from scratch sustainably. One UK Company does exactly that. ModCell out of Bristol is a prefab company that specializes in building straw bale houses off site. 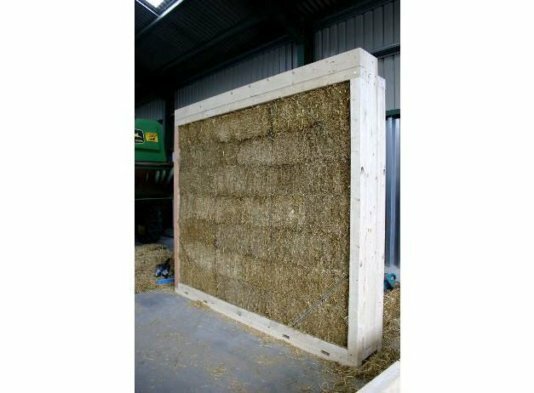 The ModCell system utilizes the excellent thermal insulation qualities of straw bale and hemp construction to form prefabricated panels, made in a local Factory. This form of prefab allows super-insulated, high-performance, low energy ‘passive’ buildings to be built using renewable, locally sourced, carbon sequestering, sustainable building materials. So what is the fuss really about? Well, first and mainly this building material is carbon sequestering. Instead of throwing carbon into the atmosphere in the production process like cement bricks do, straw is a plant by product that sequesters and uses carbon for its growth. Straw is the leftover stalks from cereal crops - normally used for animal bedding. In the UK alone, just under four million tonnes of this leftover straw is produced every year by agriculture, according to the Agricultural and Horticultural Development Board. When one does the math, it takes about seven tonnes of straw to build a three-bedroom house with this pre-fabrication method. 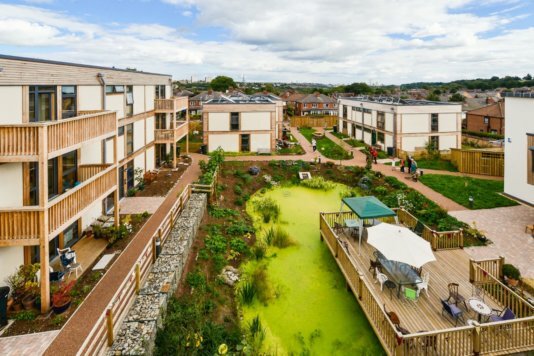 That means there is potential to grow the material for more than half a million new homes every year in British fields. Furthermore, contrary to the lessons we were all taught by the three little pigs, straw is a rather durable building material. Speaking to the Guardian, Prof Pete Walker, who led the project to develop and test the construction method, said “We have conducted a number of fire tests that have demonstrated that fire resistance from straw bale construction is remarkably good and better than many contemporary forms of construction.” Additionally it also proved itself able to fully endure harsh weather, withstanding even hurricane strength winds. “One of the best things about living in the ModCell house is the constant indoor temperature”, said Paul Chatterton who lives in the Lilac co-housing in Leeds, to the Guardian. “It's now October I haven't had the central heating on since late April. I've got a little indoor weather station that tells me the temperature, and every morning I look at it and it’s always around 20° c! When friends visit they are so jealous that I haven't had to turn my heating on yet. For our old leaky Victorian terrace house gas bills used to be about £1000 a year now. Now they will be about £200”. 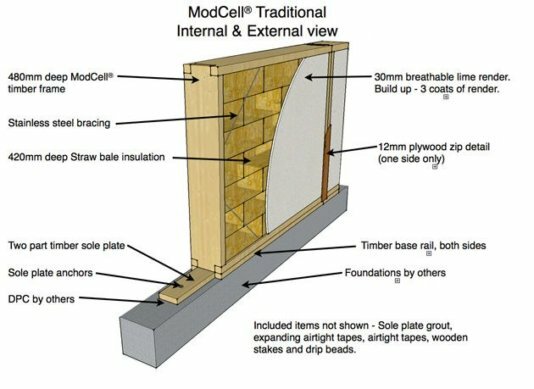 The ModCell system utilizes the excellent thermal insulation qualities of straw bale and hemp construction to form prefabricated panels, made in a local Factory. “We have conducted a number of fire tests that have demonstrated that fire resistance from straw bale construction is remarkably good and better than many contemporary forms of construction.” says Prof Pete Walker.